Keith Bennett, D.C., is a chiropractor located in Hartford, KY. Take the next step and contact Dr. Keith Bennett, D.C., for a consultation in Hartford, KY or to get more information. Robert Kovacs, D.C., is a chiropractor located in Hartford City, IN. Techniques: • Diversified • Upper Cervical Take the next step and contact Dr. Robert Kovacs, D.C., for a consultation in Hartford City, IN or to get more information. J Wilke, D.C., is a chiropractor located in Hartford, WI. Techniques: • Activator Methods • Toftness Take the next step and contact Dr. J Wilke, D.C., for a consultation in Hartford, WI or to get more information. Joy Blodgett, D.C., is a chiropractor located in Hartford, WI. Take the next step and contact Dr. Joy Blodgett, D.C., for a consultation in Hartford, WI or to get more information. Robert Hozeska, D.C., is a chiropractor located in Hartford, WI. Take the next step and contact Dr. Robert Hozeska, D.C., for a consultation in Hartford, WI or to get more information. 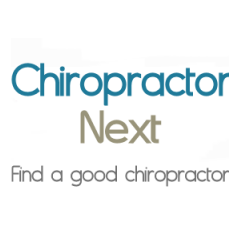 Greg Claypool, D.C., is a chiropractor located in Hartford, WI. Take the next step and contact Dr. Greg Claypool, D.C., for a consultation in Hartford, WI or to get more information. Arthur C Anderson, D.C., is a chiropractor located in Hartford, KY. Techniques: • Palmer Package • Gonstead • Thompson Take the next step and contact Dr. Arthur C Anderson, D.C., for a consultation in Hartford, KY or to get more information. Louis M Huppert, D.C., is a chiropractor located in Hartford, VT. Techniques: • Diversified • Applied Kinesiology • Sacro Occipital Technique Take the next step and contact Dr. Louis M Huppert, D.C., for a consultation in Hartford, VT or to get more information. Kimberly Anderson, D.C., is a chiropractor located in Hartford, WI. Techniques: • Activator Methods • Toftness Take the next step and contact Dr. Kimberly Anderson, D.C., for a consultation in Hartford, WI or to get more information. David J Schimp, D.C., is a chiropractor located in Hartford, WI. Take the next step and contact Dr. David J Schimp, D.C., for a consultation in Hartford, WI or to get more information. William J Godschalk, D.C., is a chiropractor located in Hartford City, IN. Techniques: • Diversified Take the next step and contact Dr. William J Godschalk, D.C., for a consultation in Hartford City, IN or to get more information. James A Schimp, D.C., is a chiropractor located in Hartford, WI. Take the next step and contact Dr. James A Schimp, D.C., for a consultation in Hartford, WI or to get more information. A E Lotfi, D.C., is a chiropractor located in Hartford, MI. Take the next step and contact Dr. A E Lotfi, D.C., for a consultation in Hartford, MI or to get more information.